Happy Fathers day! 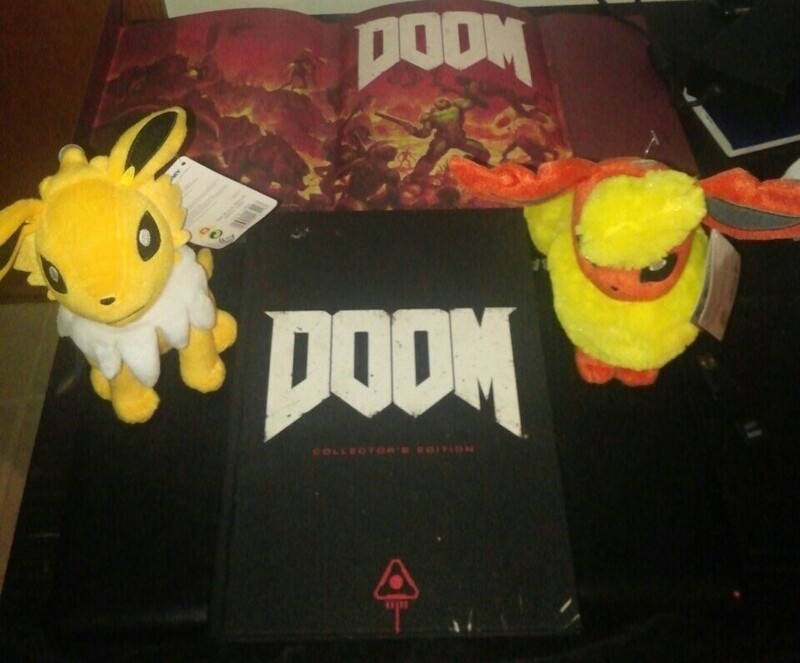 er..uhh.. PokéDoom day? I got some nice things from my son and wife today. My son got me the plush Pokemon hehe. 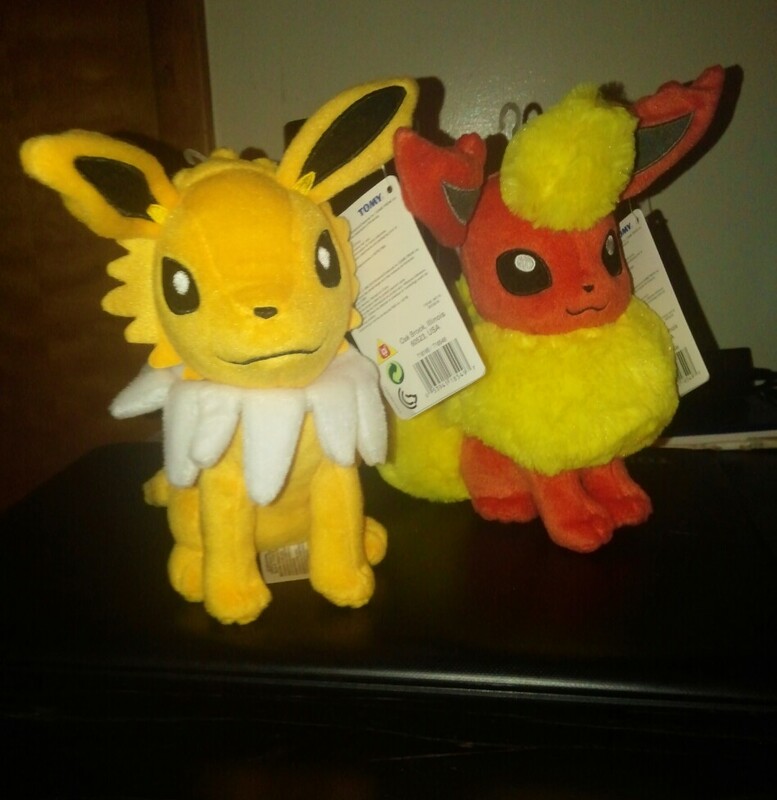 But I really like Flareon and Jolteon so this is awesome. 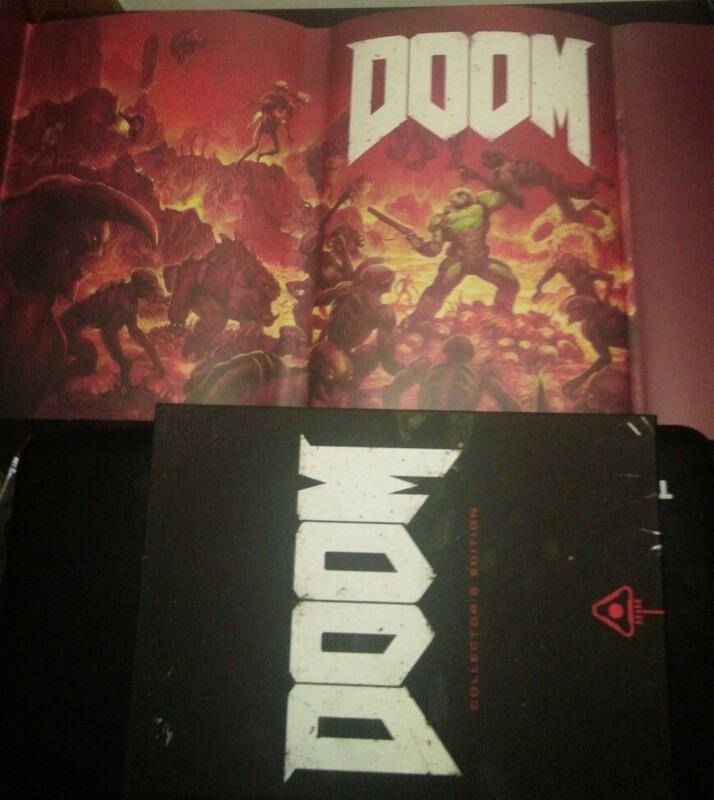 Wife got me the collectors edition Doom 2016 book. The cover comes off into a dust jacket poster. I also got some socks and a new wallet if your interested xD Just joking.